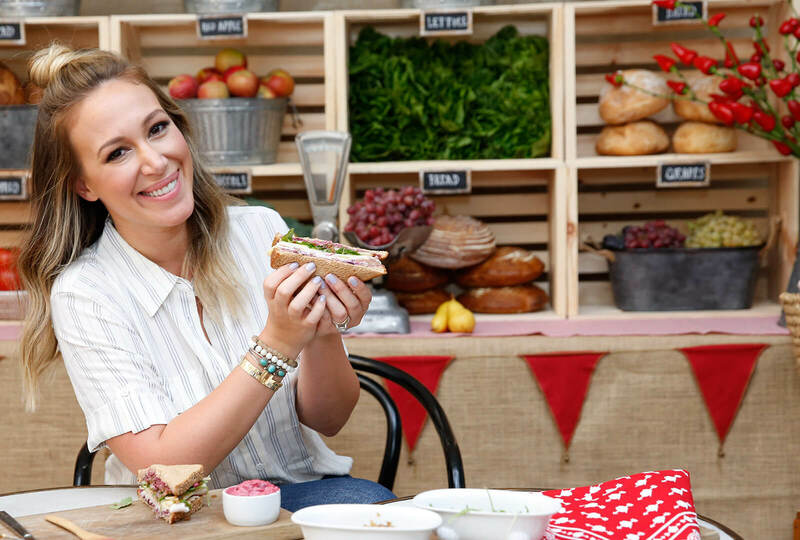 This September, Applegate partnered with actress and chef Haylie Duff to hold a sandwich soiree in West Hollywood. The kid friendly event featured interactive DIY stations including custom lunch box craft stations, a photo booth and a farmer’s market filled to the brim with organic produce. Children built their own sandwiches with Applegate® organic, antibiotic-free turkey, ham, and roast beef. 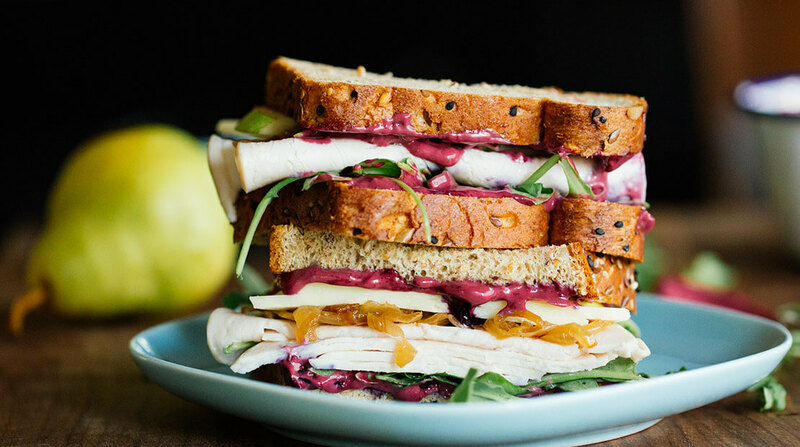 Layer blueberry mayo, Applegate® turkey, white cheddar, arugula, Bartlett pear & caramelized onions on two pieces of grainy bread of your choice. Gently smash blueberries and simmer all ingredients (minus mayo!) on med/low heat for 6-8 minutes. Let cool then stir in to a separate bowl with mayo. Slice 1 yellow onion and sauté on low heat with 2 tablespoons of olive oil. Simmer for 45 mins, tossing regularly.